A new acquisition for Google, but this time it revolves around video games. Indeed, the group has acquired specialized company Green Throttle, which has developed the joystick, Android, "Atlas Controller". Google did not specify its purpose. This acquisition will she enrich the functionality of Android TV? Google going to launch into a game console? Regularly, Google buys companies. If these acquisitions provide guidance on the strategies followed by the group, they are sometimes confusing. Drone, connected object, robotics, etc.., Google seems to turn to an important diversification. 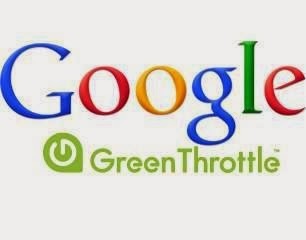 After Boston Robotics and Deepmind, Google confirmed today it has acquired the company Green Throttle. Charles Huang, who worked on Guitar Hero, and Karl Townsend and Matt Crowley, from Palm Pilot, founded Green Throttle end of 2012. This company has especially developed the "Atlas Controller" controller, operating via Bluetooth. Also, Green Throttle developed the Atlas application, which, Android, united games recommended by the company. Since the demise of this application, in late 2013, the company had been forgotten. Google has, therefore, to buy the company. The amount of the transaction was not made ​​public. The team will join the local Google, but the question is: for what purpose? Since 2013, rumors suggest that the group could develop a game console. Is this objective? Or is it to improve Android TV? Must await clarification from Google.